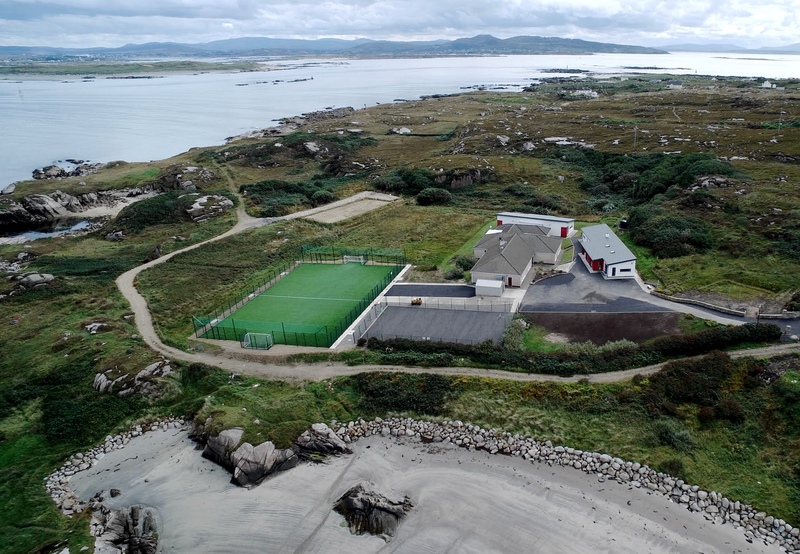 Gairmscoil Mhic Diarmada, Arranmore Island, Co. Donegal. The island’s only second level school opened on 5th October 1990 and continued to go from strength to strength over a long number of years. The school has a record of very good examination results and the majority of students progress on to third level education. The Principal, Mary Doherty, is supported by 13 Teaching staff and 4 Support staff. As a Gaeltacht school, we are currently enabled to provide our educational programmes through both the medium of Irish and through the medium of English. We offer a varied subject choice at the school (academic and practical options) and all school policies are updated regularly. We regularly liaise with parents and relationships between all interest groups in the school are positive and the focus is very much on the holistic development of the child. Wellbeing and positive mental health are promoted at all times in the school and the facilities at the school are second to none e.g. ICT and Sports facilities. There are also good support for students who present with special educational needs. We also have a large number of mainlanders in attendance at the school as well as the local island students and the links between both groups have been very positive for all the students concerned. As a DEIS School we are enabled to provide additional supports to students e.g. free Lunch Club and After School Study Club. We would love to see more families moving back to the island and some places are reserved in the school for returning emigrants. Normally, our enrolment of the following year is completed by early December the previous year and we meet with new parents in January/February prior to their children commencing their education with is in late August/September. We would like however to have as much notice as possible that a new family/families is/are planning to return to the island in order to plan for the year ahead and this information would also need to be communicated to mainland parents on our waiting list. We prioritise island families as per our Admissions Policy but all schools require some advance notice of a possible enrolment in order to plan for the future.